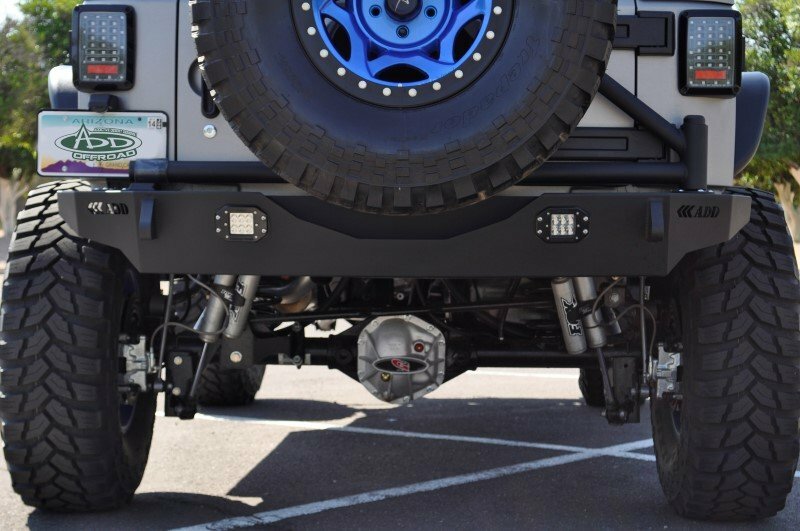 The Stealth Fighter Heavy Duty Tire Carrier is a great option for the Stealth Fighter Rear Bumper. 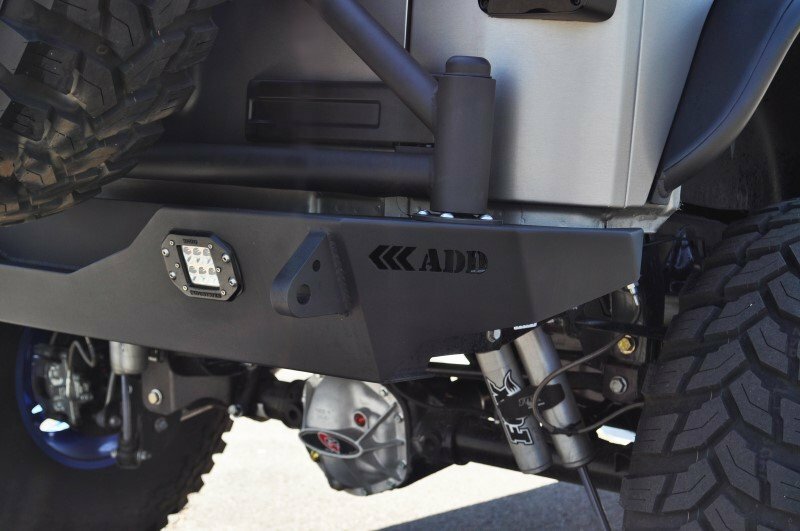 Direct bolt on unit with one hand rear door opening action and capable of holding a 37" Rear Tire. 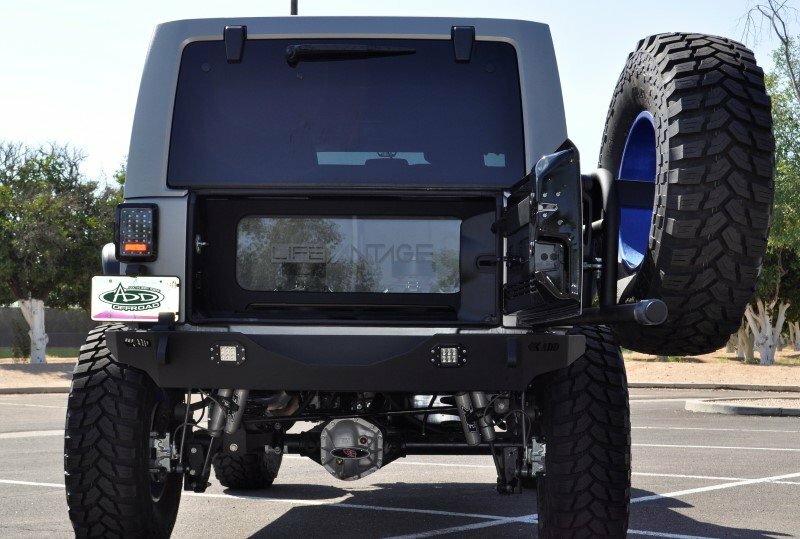 The hinge design takes the weight off the tailgate, but still operates as easily as from the factory. 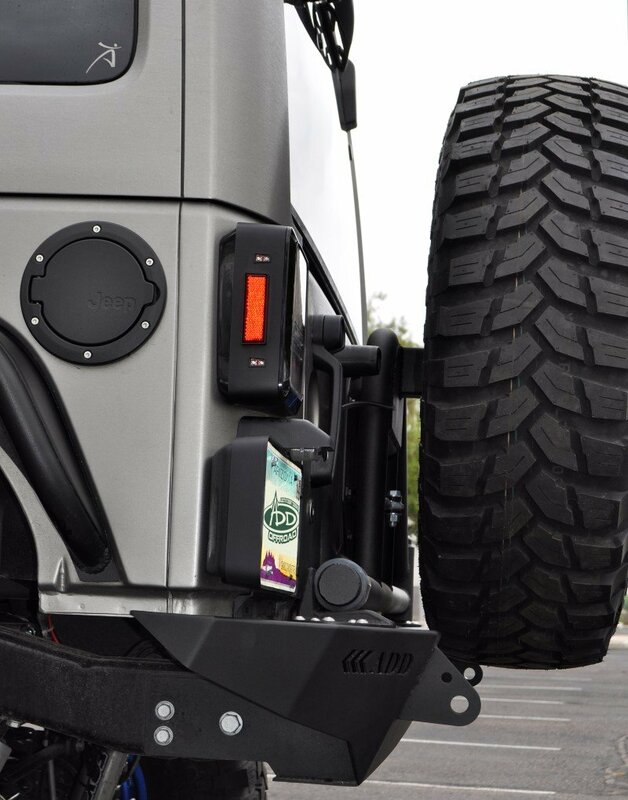 Add in a mount for Daystar Cam-Cans and the unit is complete.